The programme I undertook was the ABC diet, developed to help rebalance your pH level and get rid of unsightly pot bellies in six days. The experience is split into two parts and starts with an intense three-day introduction which is mainly liquid and a lot of supplements. My daily routine included a glass of water with added apple cider vinegar, bicarbonate of soda and cherry powder before breakfast, followed by a breakfast smoothie, a mid-morning superfood vitamin smoothie, a vegetable soup for lunch and a mid-afternoon smoothie snack. In addition to this I drank two cups of herbal tea, so you can imagine how many times I peed in the first day alone! 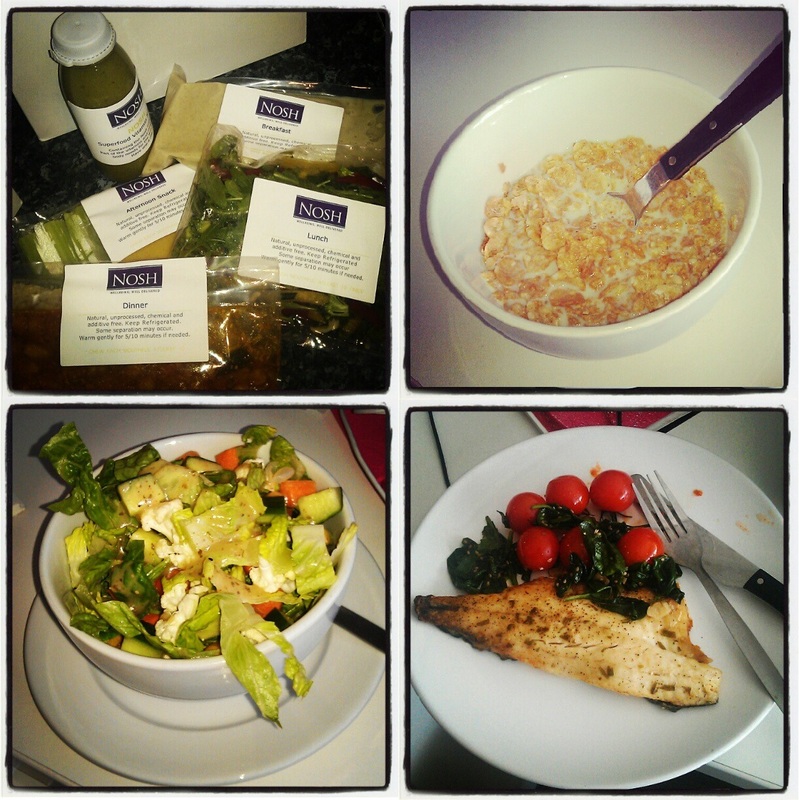 The detox actually involved more food than I would normally have on a daily basis, so I was surprised when I became so hungry I was actually in pain by lunchtime. I put this down to purely psychological rather than physical, nibbled on some grapes and told myself to shut up! Dinners in the evening were actually really tasty, including things like a prawn thai curry, chilli, sea bass or meat and vegetables. After a long day eating just smoothies and soup, the benefit of chewing was remarkable – it’s incredible that that’s the thing I missed the most. The meals were quite compact, but they filled me up nicely and didn’t leave me going to bed on a rumbling stomach. Within the detox pack is a little box of natural herbs and supplements to take throughout the day, including a potion to take before eating and some tablets to take after. These were all for the purpose of aiding the detox, providing additional nutrients and preventing infection (apparently!) so they made me feel like I was really embarking on a journey and getting into the swing of it. 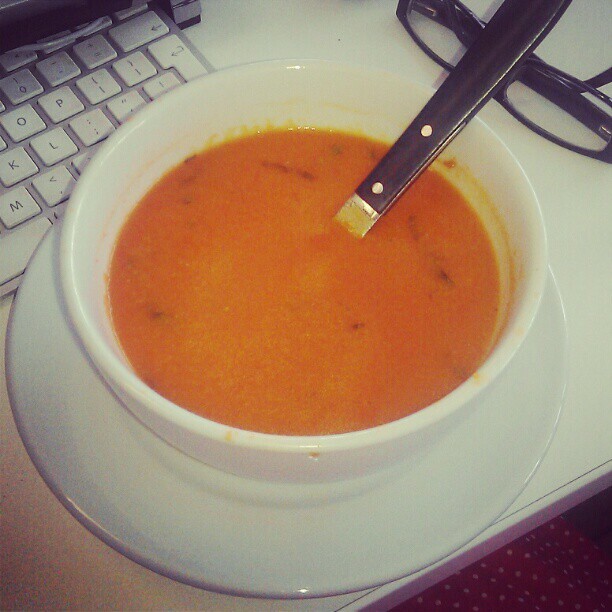 After the first three days I was actually introduced to more solid foods – hoorah! – which included cereal for breakfast, salad for lunch and vegetables for snacking on in the afternoon. The whole days worth of food ended up actually being quite a lot after the first three days just sipping on smoothies. It’s amazing how quickly your appetite decreases and how you don’t need to snack on a biscuit or sip a can of coke with your lunch. After a few days I noticed my whole attitude changing towards what I was putting in my body – I didn’t even have a soft drink for two weeks, sipped on a glass of champagne and gave up after half, turned down cupcakes and only drank herbal tea. It just didn’t seem worth it any more. A sudden realisation that my habits had gotten so bad made me want to keep this up even longer as I began to feel so fresh, alert, healthy and focused. I lost quite a bit of weight without even realising, putting a pair of PJs I’d worn two weeks before to find the waist band was practically falling off. I started to sleep better, feel more focused at work, staying alert all the day through and not falling asleep on the tube home. The main benefit of this is the fact that it’s all delivered to your door in manageable packages so it makes the whole process easy as pie. (Excuse the use of the word pie there!) 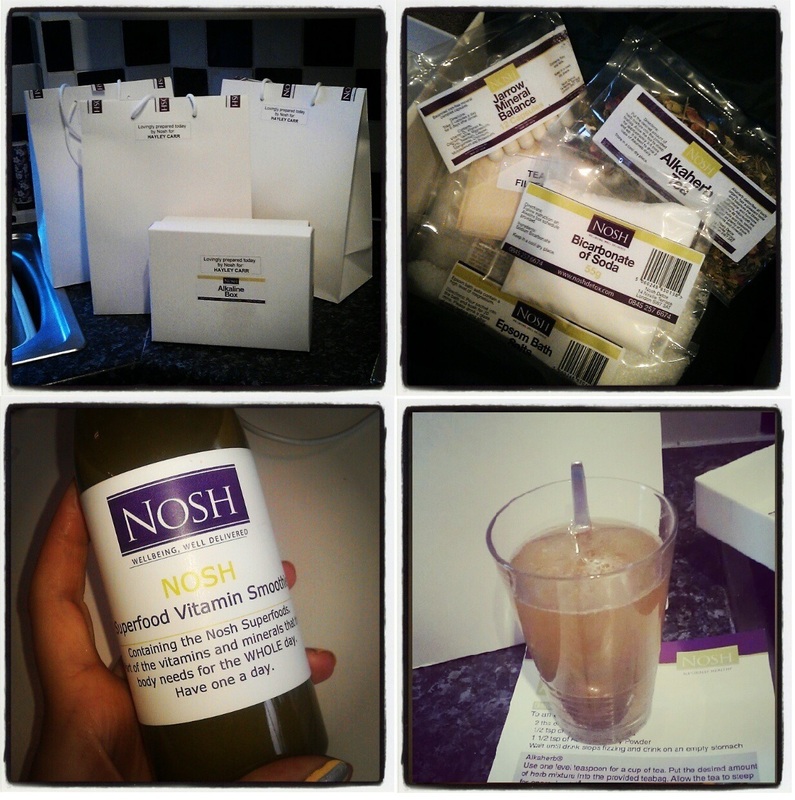 Detoxing an dieting can be hard because you’ve got to be so organised and prepared, but with the Nosh system you just have to be in twice a week after 6pm to receive the deliveries. You food is all packaged up in little bags for each day, so there’s no confusion about what you have to eat and when. It’s all labelled, the supplements broken down with a FAQ sheet and all you have to do is pop it in the microwave. That’s the most challenging part of the week. It really changed my attitude, left me feeling more energised than I have in years and even changed the way I’ve been eating since. 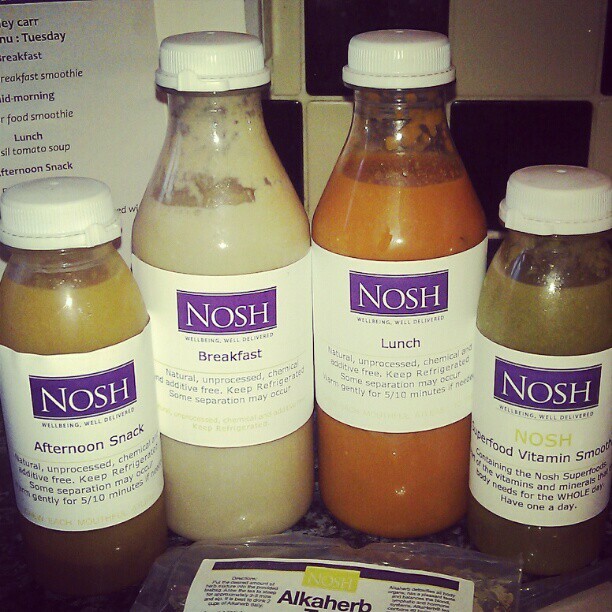 As a busy career woman who spends most evenings out and about, it’s easy to slip into bad habits – the Nosh detox has helped me get back on track and sort myself out inside and outside. The investment of £290 for a week is a lot, but that includes absolutely everything you need and more; that’s a small price to pay for long term health too. Overall my experience was a really positive one and something I would thoroughly recommend. I totally want to make this a regular thing to ensure I’m looking after myself, and now have the motivation to keep up the good work. Nosh: Thank you, from the bottom of my heart. If you work out the cost per day it's £40. Based on what I normally spend (£5 for breakfast, £10 for lunch and snacks, £10-20 if I go out for dinner) it's not actually that much. Baring in mind all the food is freshly prepared (with no additives, all natural) and delivered to your door I actually think it's reasonable. On top of that you get a massive box of potions which probably would set you back £50 in Holland & Barratt. It may seem a lot at first glance, but once you break it down it's not.